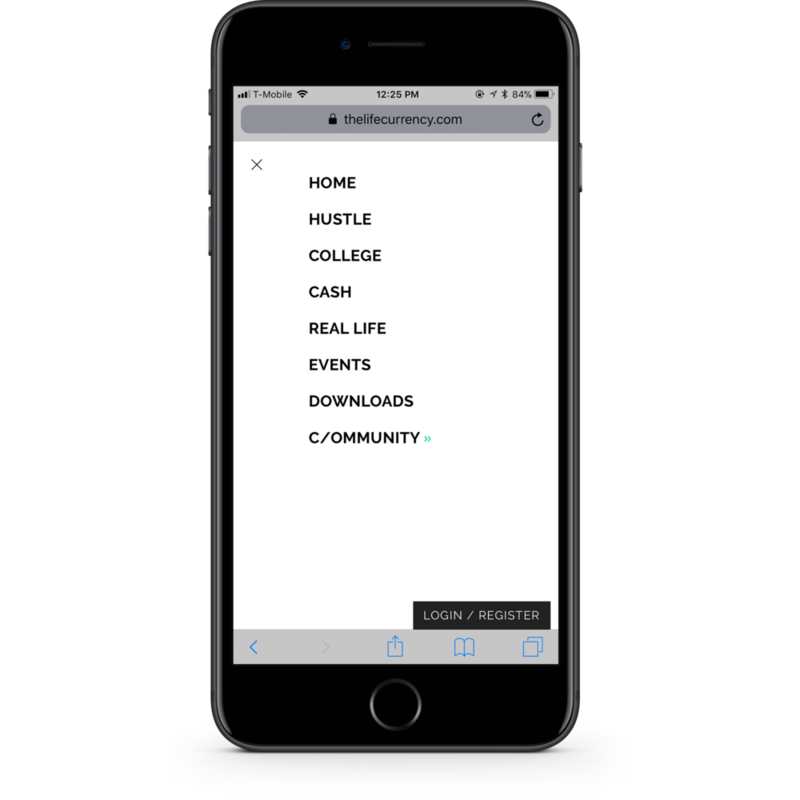 The Life Currency is a 24/7 conversation dedicated to helping students, young professionals, and young entrepreneurs navigate life in their 20s. 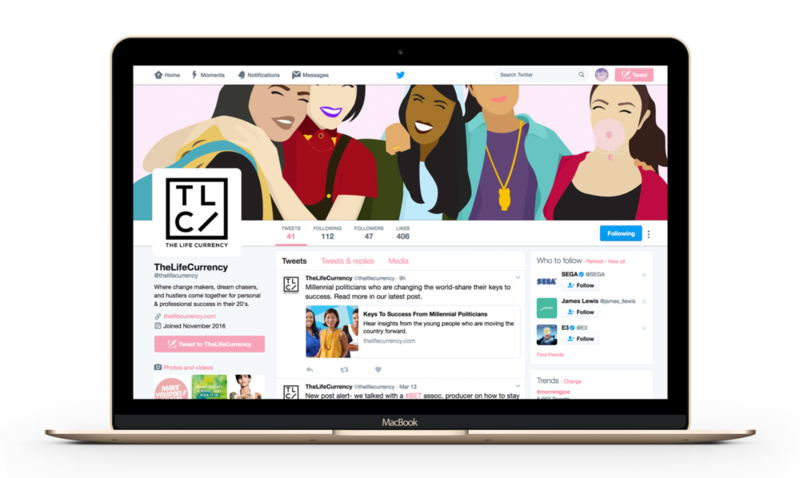 The Life Currency is an online publication geared towards women in their mid-to-late twenties that find themselves in need of guidance in their career path, education, finances, and other aspects of adulting that can only seem to come from your best girlfriends or badass older sister. I created a visual identity designed to reach these individuals and built an editorial-based website that would help steer them closer to their goals without losing their interest; The Life Currency plans to destroy the idea that being career driven and financially responsible has to look and feel tired & boring. The starting creative for The Life Currency's logo was versatility; similar to the MTV logo, The Life Currency uses their mark in varying situations. The Life Currency is an editorial site, with its current main function being publishing content. The articles feature bright photos and graphics with a focus on young women of color. The features include a members-only section, an interactive events calendar, and downloadable content in exchange for newsletter signups. I am responsible for the article publishing, graphics, and backend maintenance. 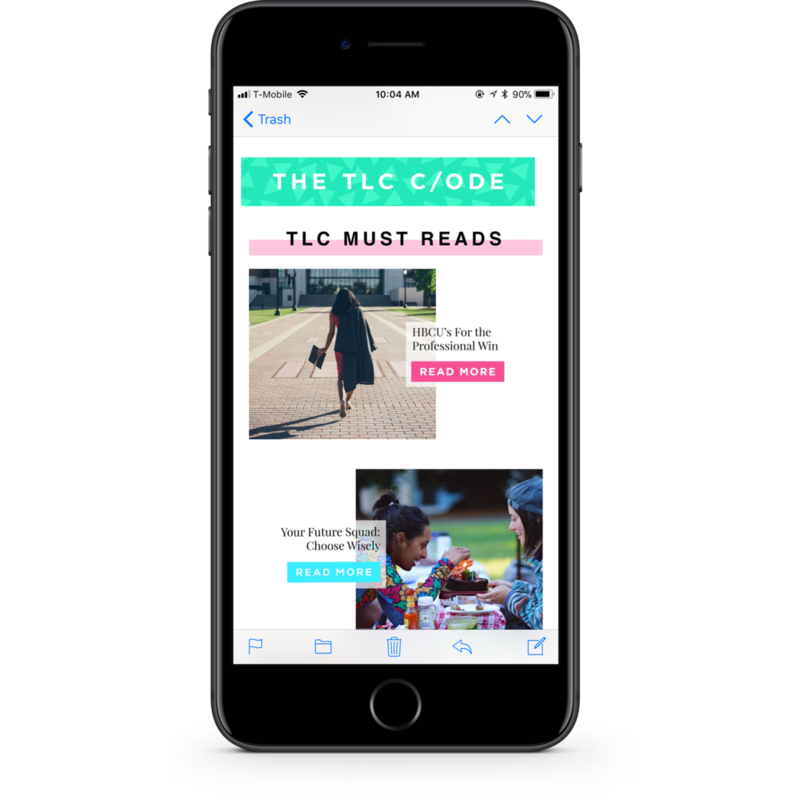 The Life Currency shares a weekly newsletter titled TLC C/ode which I design and publish weekly. The newsletter shares the week's top articles, current job openings, a featured inspirational woman and any upcoming events. I frequently create digital assets to add variety to The Life Currency's social media feeds on Facebook, Instagram, LinkedIn, Pinterest & more, being either type treated quotes, original illustrations, or modifications to photos. Being responsible for the website visuals, I also ensured consistency among the social media presence. 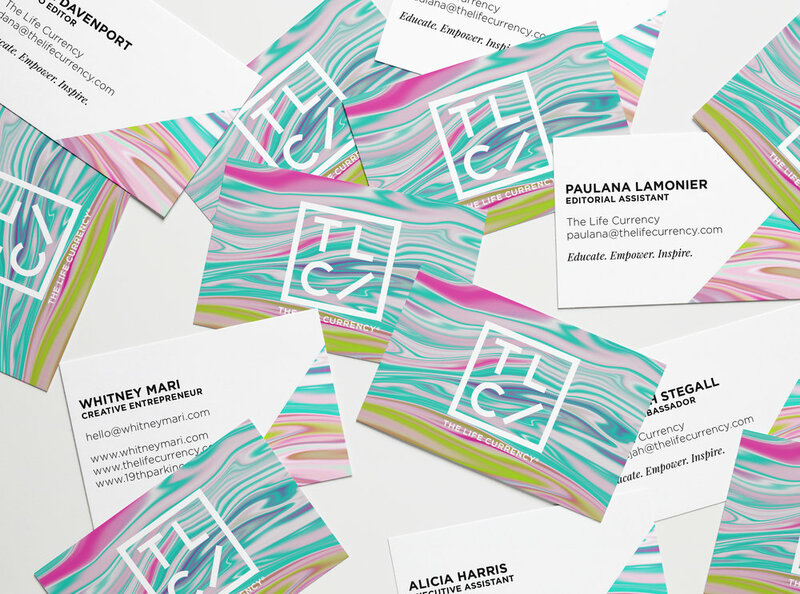 The Life Currency frequently partners with brands and takes part in events, so printed brand materials are an important part of their brand awareness. These include business cards, stickers, worksheets, promotional postcards, signage and more. 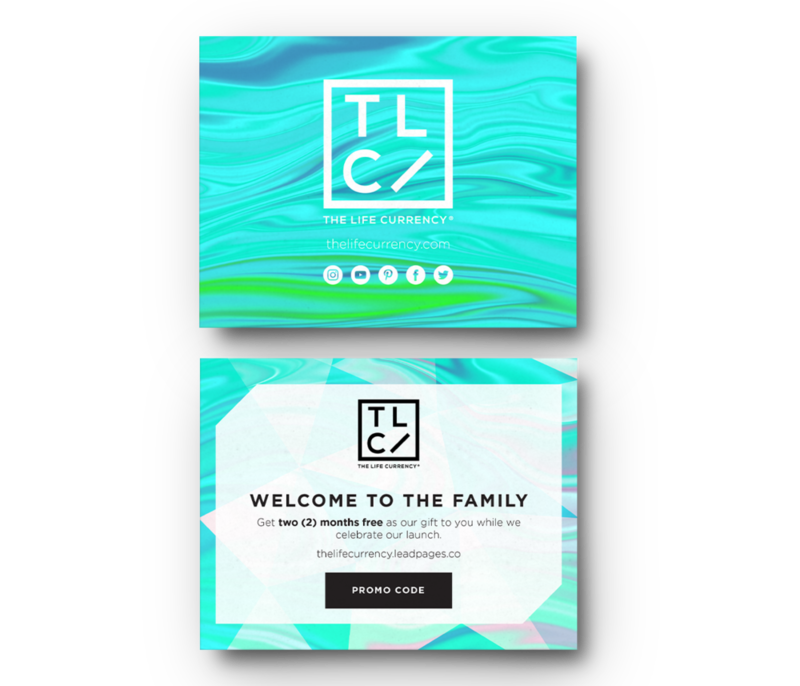 The Life Currency hosts free and paid downloadable content to educate their audience on college, careers & finance through the website which I designed to match the rest of their brand.